No one is ever prepared for the emotional and financial toll an unexpected accident causes. If you have or have been injured in a motor vehicle or motorcycle accident it is easy to become overwhelmed when dealing with medical injuries, pain, and trying to understand your legal rights here in Ontario. As a victim of car a accident or other accident you are entitled to compensation for property damage, medical bills, lost wages, pain and suffering, as well as permanent injury or disfigurement. It is common for adjusters and insurers to try and take advantage of victims who are not represented by an attorney; therefore it is important you call a lawyer for free advice as soon as possible. Studies have shown that accident victims who retain a lawyer receive three times the compensation over individuals who are not represented. Follow these step after an automobile accident to safeguard your safety and rights. 1. 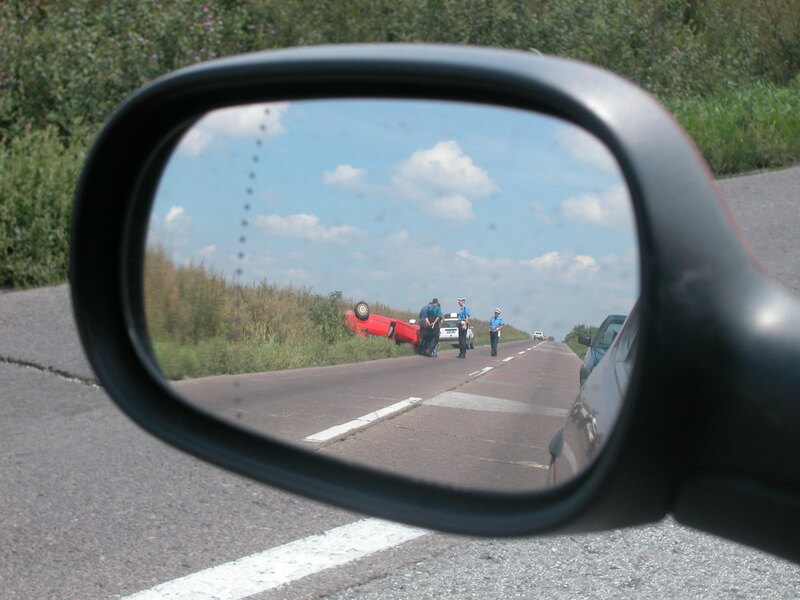 You need to report all accidents to your insurance company, broker, or agent as soon as you can. The sooner they get your call the less likely they are to deny any legitimate claim that you may have. In addition, your automobile insurer provides you with many benefits and services which you may not be aware of. Contacting your insurance company immediately ensures that you will receive the benefit of the services you have paid for all those years. 2. Contact a lawyer. While it’s probably best you complete the step above first a lawyer will be one of your most important calls. The legal laws regarding automobile accidents in Ontario are becoming increasingly more complex and more rigorous with the increasing prevalence of fraud. If you have been in an accident (driver or passenger) and have any questions, please contact us for free advice and help. We are the legal help line and we are here to help you, no strings attached. 1. The insuring company of the person who is at fault for the accident should be contacted to pay for the damage. They will only pay for your car once they determine that their insured driver caused the accident. 2. You may have collision coverage with your policy but you will need to contact your insurance company to find out for sure. This type of coverage ensures your vehicle is repaired, less any deductibles, no matter who is at fault. If you are not at fault it is best to use the other party’s insurance to fix your vehicle, this prevents a claim on your policy and keeps rates low. One of the insurance companies will send an adjuster to estimate the damage. The insuring company is responsible for paying the amount it costs to fix the car or if it is a write off, the fair market value of the car, whichever is less. Can I receive reimbursement for lost wages during rehabilitation as a result of injuries from the accident? Each case is different but there are a few ways in Ontario to ensure that you are taken care of during a healing period. If injured and unable to work, most people are eligible to collect up to 70% of their gross wages with a maximum duration of six months. On top of that, your own auto insurance policy likely provides limited benefits for lost wages commonly know as Income Continuation Benefits. Duration and payout is different from all companies companies and will need to be investigated on an individual applicant basis. Do I have the legal right to get money for my injuries or pain and suffering from the accident? We often receive this question but the answer is quite complicated. First off, in order to have any right to collect compensation for your injuries, the other person involved in the accident must have been at fault. The severity of your injuries or disability will also play a role in how much and your ability to collect compensation. If you think you may have a case give us a call to discuss. Information is always free and we are more than happy to help. Alternatively, if you are responsible for the accident, you cannot recover money for your injuries but are entitled to the many benefits discussed above. In this situation it is probably best to speak to your legal counsel or seek some out. Things can get complicated pretty fast when the at fault party does not have protection or has insufficient insurance to satisfy the claim or claims.